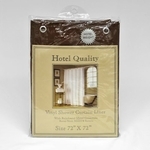 Extra Long Mildew Resistant Shower Curtain/Liner with Free Shipping! 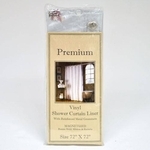 The super weight shower liners are 10 gauge vinyl with metal grommets to ensure the liners are durable and long-lasting. 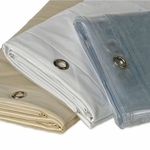 The metal grommets are also rust proof. 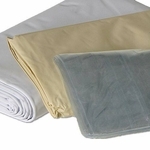 The super weight liners are mold and mildew resistant and soft as silk.